Santosh Kumar Kadlebele was a gregarious personality, service minded, friendly, and charitable person who was very involved in the Community. Santosh always kept himself busy working on various charity initiatives like earthquake relief, flood relief or volunteering in soup kitchens. Santosh was someone who always placed the interests of the community ahead of his own. Unfortunately, Santosh passed away suddenly and unexpectedly thus placing his beautiful family under lot of duress. 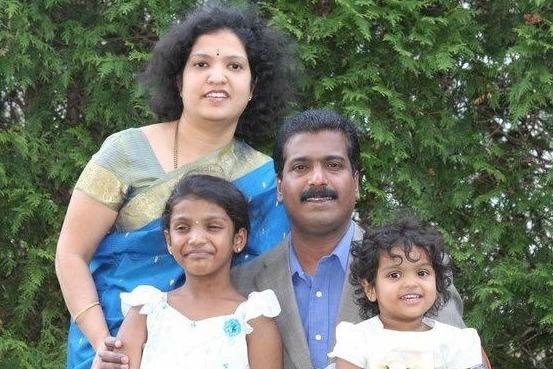 Santosh is survived by his wife Smitha and two beautiful daughters Chaithanya and Prerana. We are setting up this memorial fund in Santosh’s memory to help his family thru this calamitous time. Giving back to the family of someone who gave so much of himself to the people around him and the community is a great way to show our appreciation. Santosh is going to live in our memories for ever.